Next, have you heard of Spoonflower? They are a company that allows you to design your own fabric, wallpaper or gift wrap. I’ve designed fabric through them once featuring my parent’s sail boat and found their website really easy to use and the fabric turned out pretty good for my first try (I don’t have much in the way of a natural talent when it comes to graphic design though…so if you do and you’re currently enrolled in a textile or fashion design program, you might want to check out the grant the Spoonflower offers. One of the girls in my fashion design program last year designed her own fabrics through Spoonflower for the end-of-year fashion show. She had a nautical theme and the custom fabric really helped emphasize it! 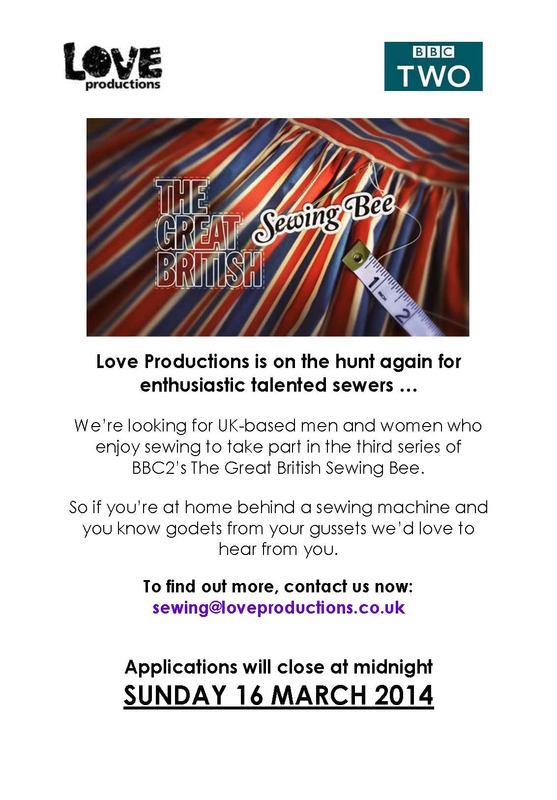 Would you be thrilled to be on the Great British Sewing Bee or is having your speed sewing inspected your worst nightmare? And have you designed fabric on Spoonflower with great success? Have you tried putting one of your fabric designs up for sale?